Being a good speller is a gift that many of us don’t appreciate enough. There are so many ways good spelling is essential in everyday life. Poor spelling can greatly affect reading and writing skills. 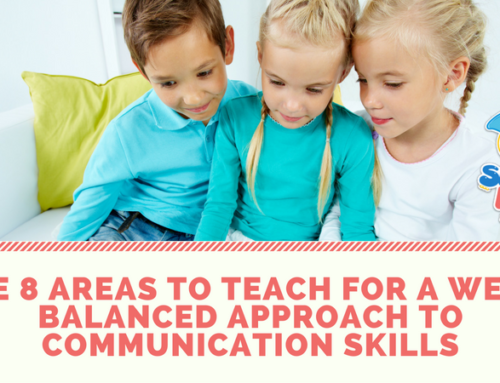 It can hinder your child’s progress in school. Teaching your child to be a better speller can actually help them become a better reader and writer. Inversely, being a poor speller can affect the way teachers and other students view your child. Being able to look things up alphabetically, knowing which choice is correct on spell checker, corresponding with others in a way that they can understand, and filling out resumes and job applications are all ways that we use spelling every day. In 2005, the National Commission on Writing for America’s Families, Schools, and Colleges reported that 80 percent of the time an employment application is doomed if it is poorly written or poorly spelled. Good spelling is vital in our world today. Understanding how our mind learns to spell words will enable you to help your child become the best speller that they can be. Just seeing a word and spelling it a few times does not ensure that the word is committed to memory. This process takes place in our short-term memory and a word is not learned until it is moved into our long-term memory. This is why spelling is often taught by repetition. The process of committing a word to memory involves seeing it, hearing it, and knowing its meaning. When a child sees a word, hears it, and understands its meaning and is able to use it, a connection is formed about that word. This connection in conjunction with repetition of use is what moves the word from short-term memory to long-term. In other words, they learn to spell the word. Teach your child to slow down and actually see troublesome words. Teach them to see each letter I in the word as individual components that make one picture. You can do this by using manipulatives that are comprised of individual letters such as letter tiles, magnets, or (most kids’ favorite) food shaped like letters. Building words with manipulatives, such as letter-shaped crackers or cereal, helps because they don’t have to concentrate on forming each letter but only on getting the letters in the right order. This will teach them to begin to recognize patterns which is also a key component to mastering spelling. Kids also need to see a word visually and then connect that word with an image. This brings words from being just an abstract thought to being concrete; something that they can connect to. 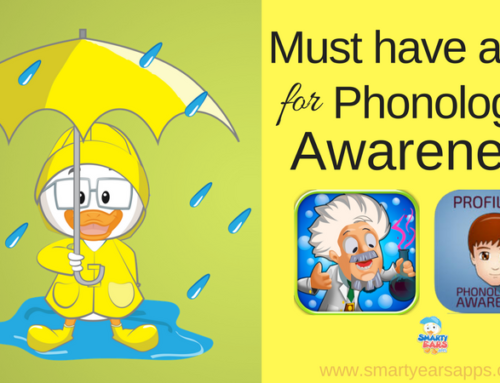 One great resource to teach spelling in this precise way is the app Smarty Spell. Smarty spell uses individual letters that the kids can arrange in the right order allowing the mind to create a “word” picture. Then, to further solidify that connection, the child is introduced to a realistic image depicting the concrete version of the word. This is the perfect combo for success in spelling. Since repetition is one key in this dynamic formula, the app also encourages repetition of a word and helps with proper placement of the letters to encourage the child to keep going. The real added bonus is that this app is multi-player and can be played with friends, as well. Raising great spellers can be easy and fun once you understand the proces. Oops, process. Maybe I need some more practice. 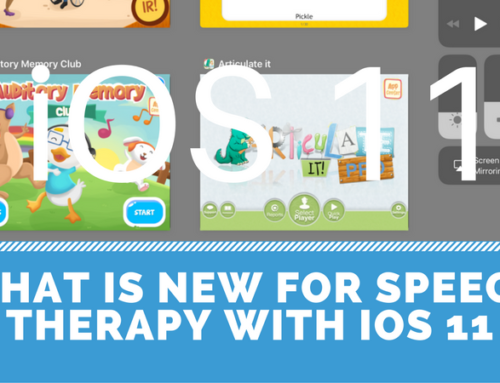 What is new for speech therapists in iOS 11? The ThemeFusion megamenu can be 1-6 columns, full width, take widgets, use icons or image thumbnails next to menu items!